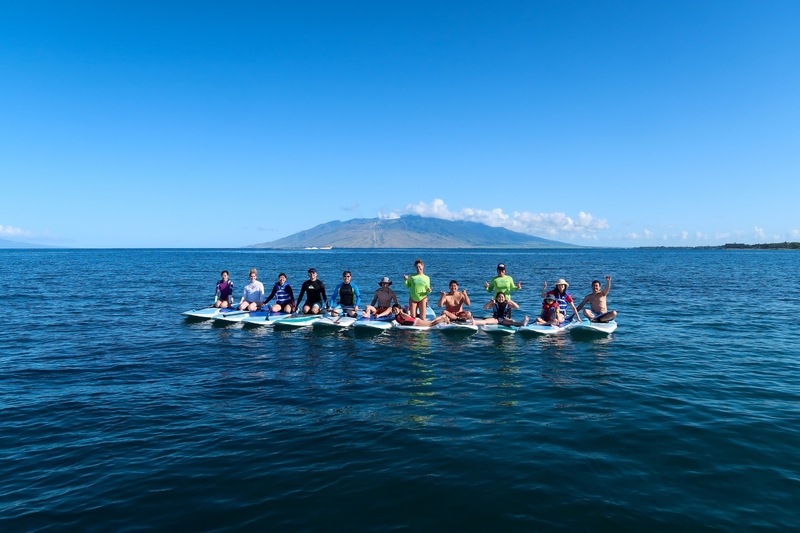 Nomiya Owner, Wing Chan, and her family had some fun in the sun this summer on their family vacation to Hawaii – where they also, of course, sampled the local cuisine. 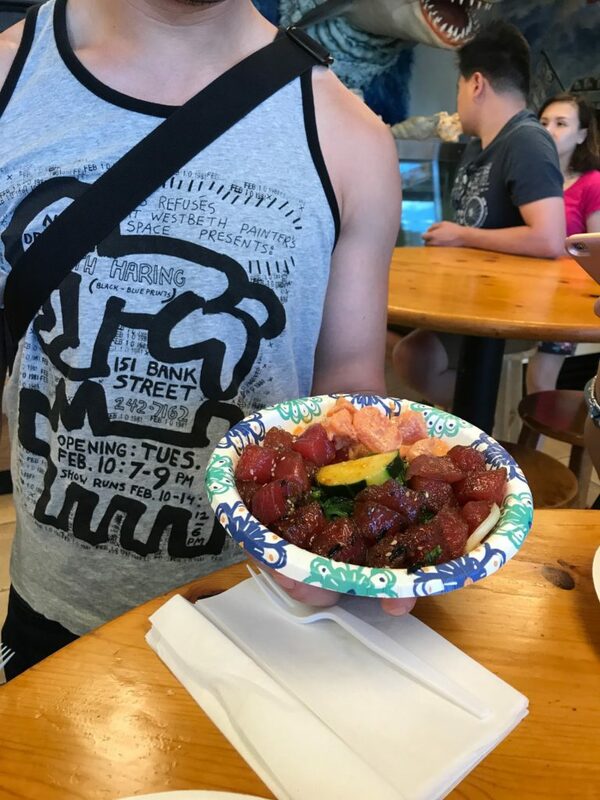 You may have noticed there’s a Hawaiian specialty dish popping up everywhere that’s been declared the next big thing in food trends – so in true foodie fashion, Poké was first on our list to taste test in Hawaii. Shrimp Poke, Ahi Tuna Poke with Wasabi and Ahi Tuna Poke with Shoyu from a local shop in Maui. Pronounced POH-kay, Poké is a mix of raw cubes of seafood in a soy-based marinade, served over rice or greens (or on its own) and typically topped with seaweed, cucumber, avocado or tobiko. Often served in bowls, and called a poke bowl, this dish could be considered a deconstructed sushi. 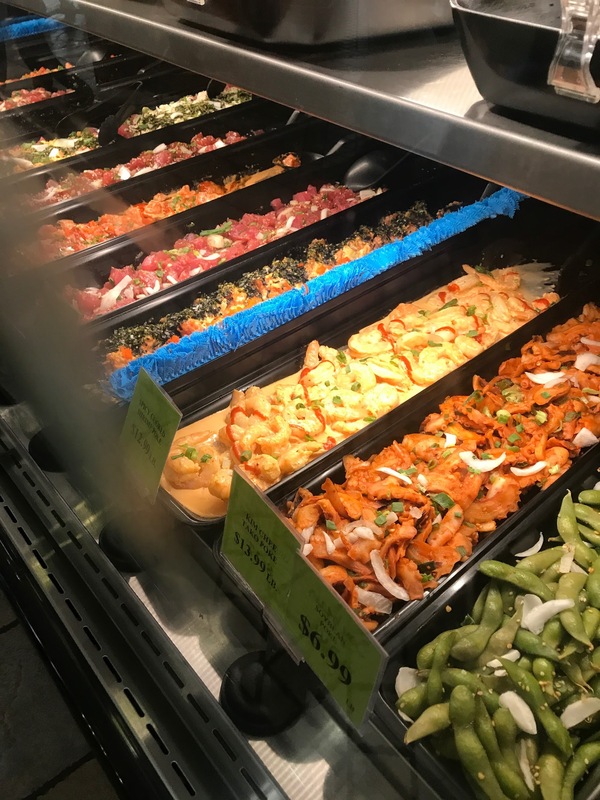 Though we now see it popping up in mainstream fast-casual restaurants, in Hawaii, we found it fresh and readily available at almost any supermarket. 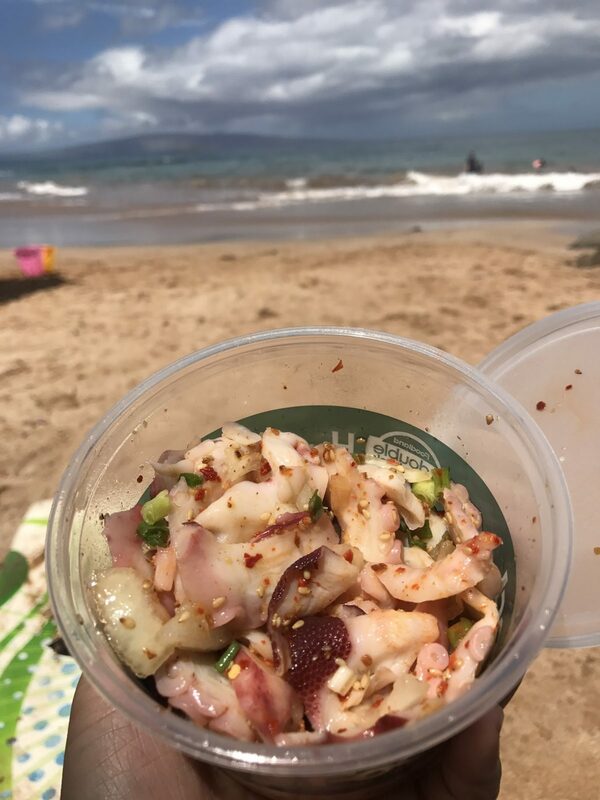 Tako Poke on the beach from local supermarket, Foodland. 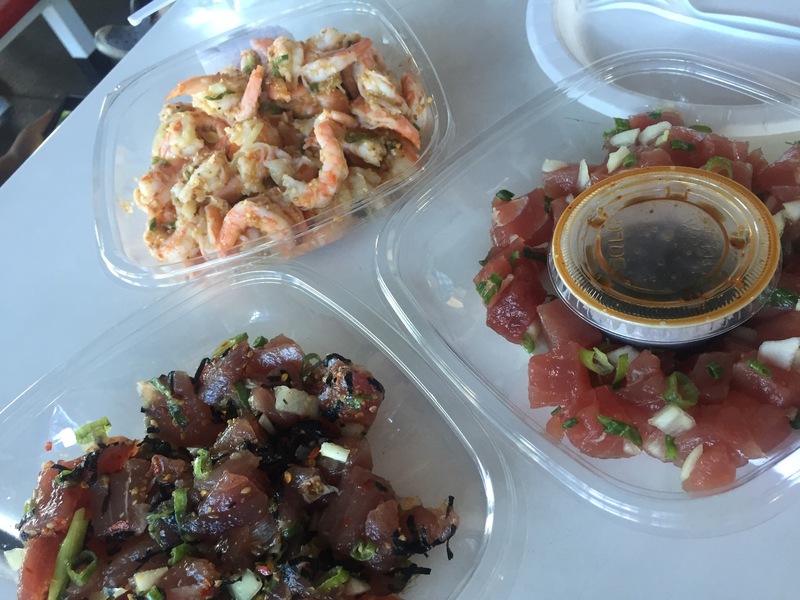 A wide array of fresh poke options was never too far away. Fresh Poke lunch at Eskimo Candy, local Seafood Market & Cafe. 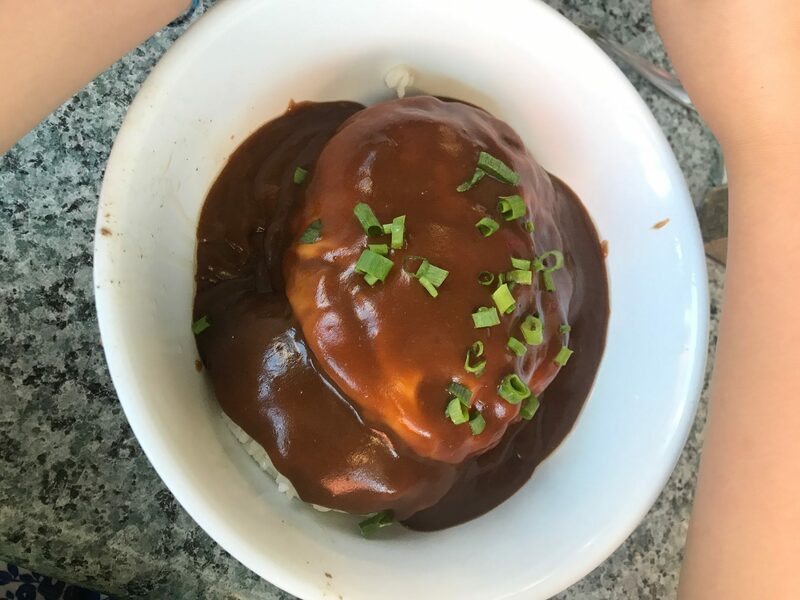 As obsessed as we (and everyone) are about Poké, we had to sample some other local favourites as well, including Loco Moco. What’s Loco Moco, might you ask? 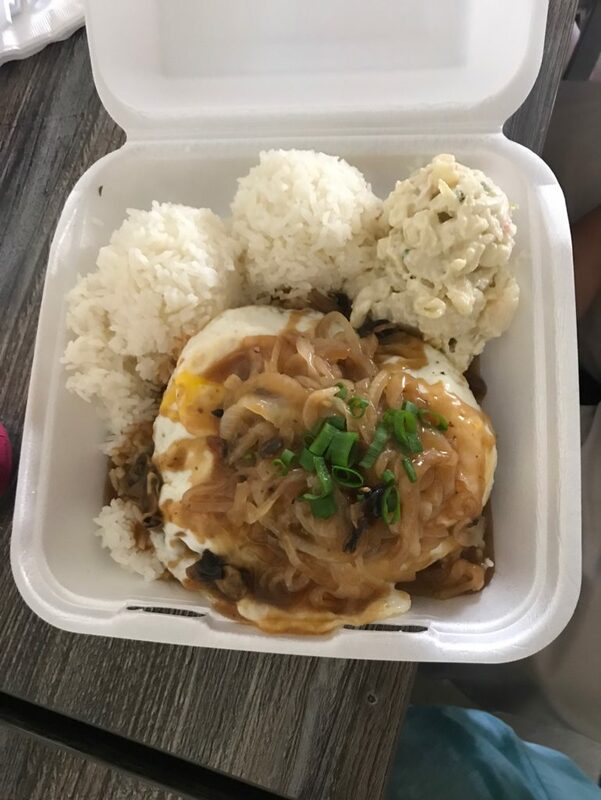 Well, Hawaii’s ultimate comfort food includes a ground beef or pork patty served on rice and under a fried egg, smothered with a healthy serving of gravy. A key to the Loco Moco is being able to pop the yolk and let it seep into the patty and rice. Loco Moco - a local (and Nomiya) favourite! Though we had it more than once, Loco Moco isn’t the only meal we had for lunch and dinner. Many Hawaiian dishes ensure there is no shortage of carbs and protein to fuel up local (or visiting) surfers. We had lots of energy to partake in activities between delicious meals! 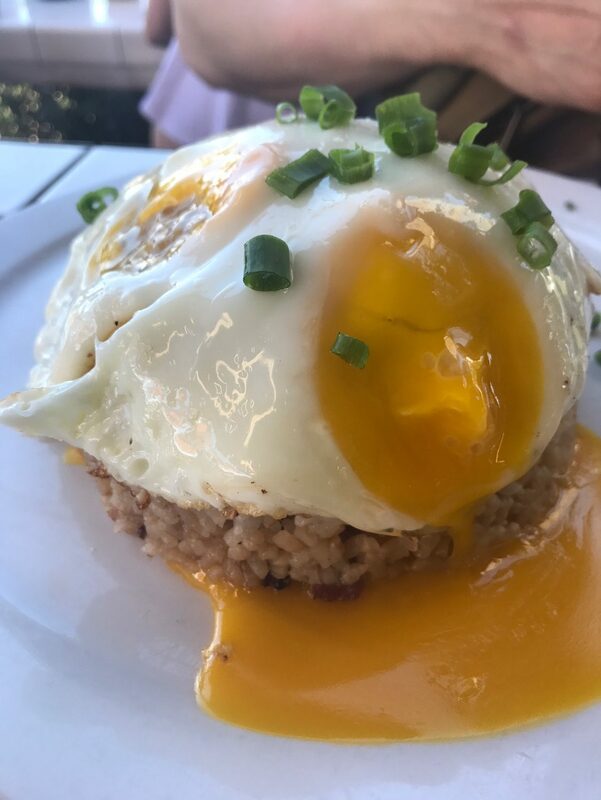 Pork fried rice and pan fried eggs at Kihei cafe. More fan-favourite Loco Moco from Da Kitchen. 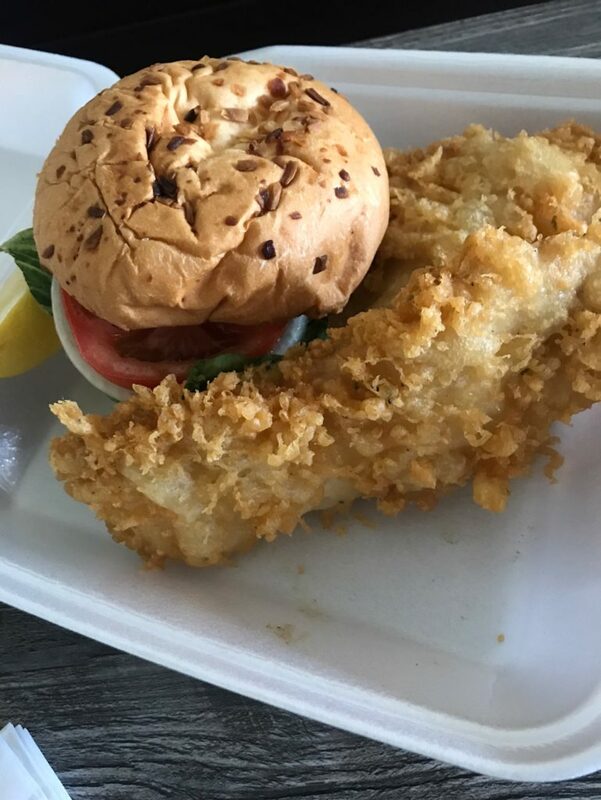 Fresh mahi mahi tempura sandwich at Da Kitchen in Kihei. The whole crew out paddle boarding! Now, no meal (or trip) is ever complete without dessert! Shave ice was our must-have on the hot Hawaiian days. 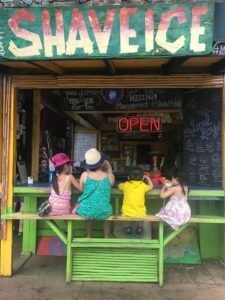 In this neck of the woods, you may be more familiar with the term sno-cones; however, Hawaiian shave ice dates back to when Japanese immigrants flooded the state to work on plantations. In Japan, shave ice is known as Kakigori and dates back to the Heian period where it was truly a luxury confection reserved for royalty. Other desserts included the pictured caramelized bananas and macadamia nuts with coconut butter at 5 Palms, Kihei, Maui. 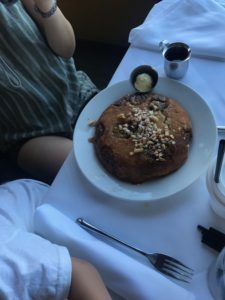 We could easily fill our whole website with fun food and activity photos from this trip, but in the end, we feel inspired and spoiled by the tasty meals and treats we enjoyed in Hawaii. 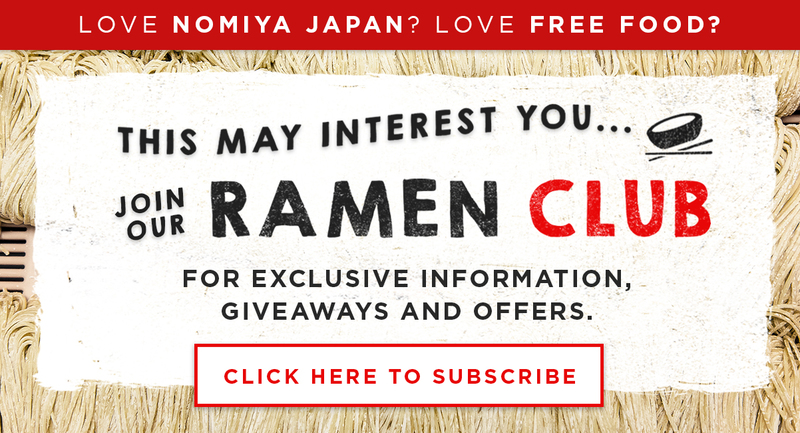 Just maybe keep your eye out for a Hawaaian / Japanese fusion dish coming your way!